Phoenix-based iLinc Communications, Inc., a subsidiary of BroadSoft, Inc. (NASDAQ: BSFT), provides advanced web conferencing services for businesses, governments, and educational institutions around the world. For more than a decade, the company has specialized in helping organizations leverage virtual events and conferencing to reduce travel time, expenses and environmental impact. "One of the best web presentation software applications available." Ease of use and very intuitive. Allows set up of classrooms as well as instant meetings. File sharing is easy and has a decent file size maximum to allow sharing with participants. Chat allows for private conversations as well group communications. Technical Support could be a little bit better when questions about functionality arise. Set up Classrooms as well as instant meetings in order to best utilize it. Practice using it internally before trying with clients to get navigation down. I did a trial run once and never had to do it again as the product was so intuitive. Allows users to present training topics to multiple users over the web instead of having to travel to the participants. Can send training materials as file transfers if needed. Conference calls and training sessions are a breeze with ILinc. And that option allows you to ask questions without interrupting the speaker. I have been unsuccessful in hearing through the computer. I've had to dial in each time but the system logs attendance by name and email. Remote conference calls and training. Multiple can use one screen to view and one phone for audio. The software is both easy and robust, enabling all users to participate in real-time conversation. Our organization's team is located in Scotland, Asia, Costa Rica, and Scottsdale. iLinc's unique capabilities provide our team with the ability to share whiteboard notes, change presentation content/direction, and schedule follow-up meetings, allowing refinement and progress. I must admit, I believed that the software would be a challenge throughout our international organization because most team members work on Macs, yet some prefer PC's via their home offices. Frequently, integrating software for both can pose a problem however, we did not find this to be the case. It really is an effective solution to bring global and virtual team members together. iLinc allows me to engage with our global team to expand knowledge of issues, to create quick and efficient solutions, and ultimately, to evolve as an organization - guiding us to the next level of effectiveness. It is a platform which works great for any international organization developing a universal culture. 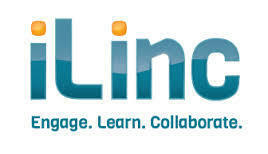 Linc provides engagement…. at its best, enabling us to cultivate the dynamic culture we are known for and proud to be a part of. 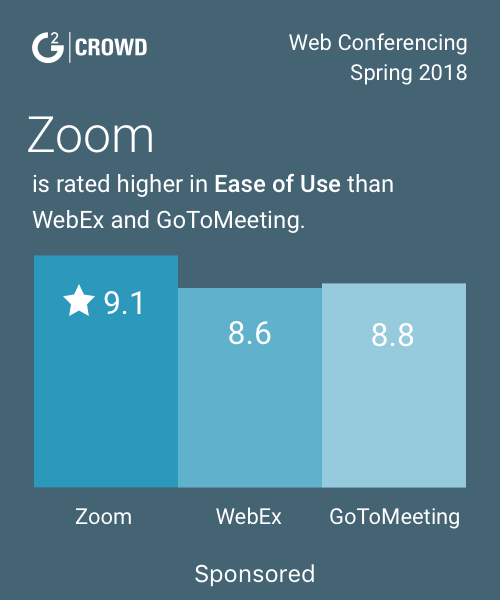 "I used iLinc to do conference calls and webinars." I was able to have a meeting from the comfort of my own home/office. I also like iLinc for training or webinars because you can do a screen share. I think I had to download the software and it took me a little while to figure out the actual interface. It is not difficult, but there is a ton going on. You can use it to do demonstrations, which takes the meeting to another level for visual people. When you have phone conferences, it is sometimes hard to see or understand who is speaking or what is going on. I much prefer this to having 6 or 10 people on one phone line. easy to use, cool features, solid foundation. can be a little confusing at first to use, and probably could use more training tools for users. * We monitor all iLinc reviews to prevent fraudulent reviews and keep review quality high. We do not post reviews by company employees or direct competitors. Validated reviews require the user to submit a screenshot of the product containing their user ID, in order to verify a user is an actual user of the product. Hi there! Are you looking to implement a solution like iLinc?